You Know a Pest Repellent Doesn’t Work When Said Pest is Lounging on it. Do you think NJ pest control in your home or office is something that you can handle on your own? A class action lawsuit against the makers of an over-the-counter anti-rodent device may change your mind. In 2015, several women in Palm Desert, CA and Woodville, TX filed a lawsuit in Manhattan federal court against BHH, LLC. Plaintiffs claimed they bought the company’s Ultrasonic Pest Repellers, sold under the brand name Bell+Howell, based on promotional claims that the product was “fast and effective” in repelling mice and other pests. Lawyers for BHH asked to have the lawsuit dismissed, but U.S. District Judge William H. Pauley III allowed the suit to proceed after viewing pictures of mice lounging on and around the device. Pauley noted that the packaging included disclaimers about possible interference with the ultrasonic signals, but stated it was up to a jury to decide if the devices were falsely marketed. The lawsuit also seeks to represent other consumers who purchased more than 2.4 million of the devices. 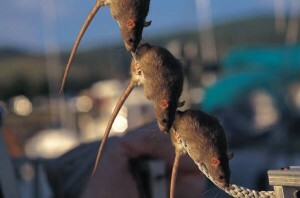 Plaintiffs cited numerous studies published prior to 2011 indicating that the pest repellers are ineffective. When it comes to mice, rats and other pests, don’t take chances. Our innovative extermination services are safe, effective and affordable. Contact us to schedule an appointment and enjoy peace of mind. NYC Rats: Where Do They Go When It Gets Cold? Where do Rats go During the Wintertime? When you own or operate a commercial business, one area that can be problematic is dealing with unwanted rodents entering the building. This is a year-round issue but especially troublesome during the winter months when rats are looking for warm places to hunker down. What are Rats Looking for in a Hiding Place? Like other outdoor residents, their primary concern is finding a warm place to inhabit followed by access to food sources and water. Garbage cans inside and outside of a building are prime targets for food; standing water and dripping faucets provide hydration. If there are areas inside their targeted building where food is stored, cooked, or eaten, then any opening, crack, or crevice left unattended will allow them to access to these areas. Where are Prime Hiding Places Located? Do a visual inspection to find sources of access such as split screens on windows or doors, gaps around doors and windows, behind air conditioning vents, behind the walls, and in the ceiling. Rats are masters at managing their way into what may seem like an impossible opening. Being aware of popular hiding places allows you to repair/secure these areas. The answer is to schedule an inspection with NYC rodent exterminator specialists. Professional technicians are adept at ferreting out hiding places and eliminating unwanted rodent residents. 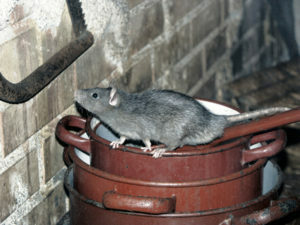 If you need the assistance of NYC rodent exterminator experts, contact Stern Environmental. Cats to manage rodent populations in New York City? Better known for patrolling NYC area subways and communities in their efforts to thwart crime, the legendary Guardian Angels are now tackling the NYC’s 4-legged foes – rats. Rodent control has become big news as of late, given a small but deadly bacterial outbreak back in December that was linked to leptospirosis, which is found in rat urine. The Plan to Run-Off the Rodents? Cats. To combat this age-old city problem, feral cats are being established in vacant land areas citywide, aimed at reducing problem areas overrun by rodents. The territorial creatures have been surmised to be an ideal solution for reducing rodent population, and likewise being kept in check and cared for with spay/neuter services, vaccinations, and necessary food and shelter. The Guardian Angels are now overseeing 10 colonies of cats in the city, ranging from Astoria to Howard Beach, stating these colonies are a win-win for the city. The kitty commandos – about 150 total, may soon be embarked on a new mission at 750 Grand Concourse, the Bronx building identified as ground zero for the leptospirosis outbreak. Other area residents looking for help have been encouraged to contact the group. Four-legged felines in your home not toeing the line when it comes to managing your NYC rodent control needs? There’s a safer, easier way to eliminate those annoying and potentially dangerous rodents. Contact Stern Environmental to learn more today. Ten NYC Rodent Videos Go Viral – Rats, Raccoons, Squirrels Oh My! New York City has a lot going for it with entertainment, dining, hotels, and much more that keeps visitors and residents busy all year long. The one thing the city has that everyone would be happy doing without is its variety of rodents and urban wildlife. 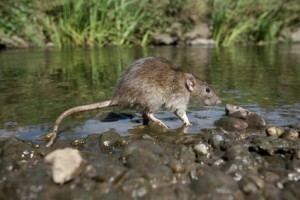 New York City is known to have more than its share of rats but there are other four-legged varmints patrolling the city streets and parks looking or food. Add raccoons and squirrels to the mix and you have a lot of critters cruising around town. For a first hand look at the rodents in action, take a look at some of the videos that have gone viral. From a drunken raccoon and milkshake drinking squirrel to a rat and a pigeon squaring off over a snack, you’ll see why these critters are street savvy when it comes to finding food. Rodents and wildlife carry disease and for this reason alone, you don’t want them in or around your property. Plus, in the case of squirrels, they can damage the wiring in your attic. 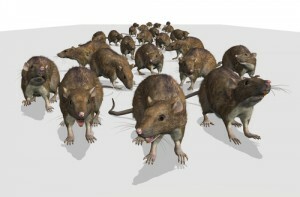 NYC rodent control is an ongoing process and we can help. If you have pesky pests skittering around your property, now’s the time to get the best in NYC rodent control from Stern Environmental Group. Give us a call and let’s schedule an inspection and a plan of action to rid your property of hungry guests.